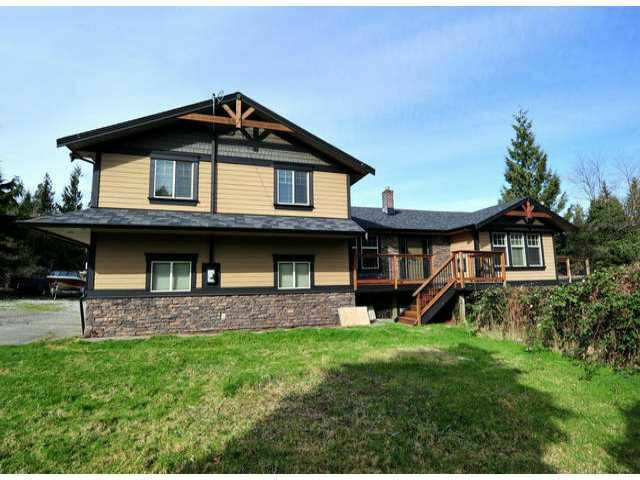 Bring the horses and the whole family to beautifully remodeled home on nearly 3 acres right near Stave Lake. The home features all new everything, increadible gourmet kitchen with granite counters beautiful cabinets with no slam drawers pullout shelving in the pantry, under cabinet lighting all on dimmers, top of the line SS appliances all on slate tile. Fireplaces are features in 2 bedrooms, family room (remote controlled with lights and heat settings) and dining room. Floors are all harwood or slate tile no expense held back here. Vaulted cielings and large windows let you enjoy your private horse paddocks and riding ring complete with barn that features skylights, 3 11X12 stalls, plus 12X20 wash area huge storage & hay loft.